Arnold is Back, and right where he needs to be headlining R-rated action flicks once again! When I first saw the trailer for that Last Stand late last year two things came to mind: How the hell can academy award winner Forrest Whitaker be in this film, and be given no starring credit in the trailer? And Good Lord Johnny Knoxville has a major co-starring role in this film. So how in the God's name am I supposed to take this movie seriously? That being said it is Arnold's first return to a starring role in an action film since Terminator 3. So of course being the sucker for mindless action that I am, as well as a fan of 80's and 90's action stars I had to check out Jee-Woon Kim's The Last Stand. The results were a little better than I expected. Arnold hasn't lost his touch as the quintessential action star, and is comfortable in the role of being a little over hill. Forrest Whitaker apparently now is the most under appreciated star in the business, because even though he plays the stereotypical FBI agent on a mission his presence still brings a lot to the role. As far as Johnny Knoxville, Kim was able to give you a steady diet of his character, and kept it at a comedic relief rather than pure annoyance. 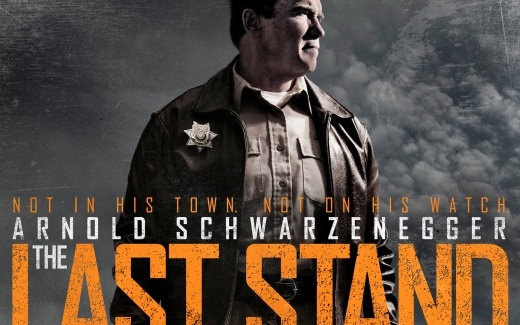 The Last Stand could have benefited by casting someone a little stronger than Edurado Noriega as drug cartel leader Gabriel Cortez, who we are to believe is the greatest drug king pin since Pablo Escobar. Noriega brought little to the role. Personally I would have loved to have seen Adrian Grenier in that role dueling it out with Arnold to the bitter end. There are those that may see this film as hour and 45 minute commercial for the NRA, people are aloud to take from a film what they want, but I choose to see it as pure Arnold action. Overall I would have to say Arnold's full return to star in an action film was entertaining, but nothing special. Sadly though if the opening weekend box office totals are any indication, which placed the last stand in tenth place only taking in a little over 7.1 million. Then Arnold's return as an action star could be as short lived as his political career, or even worse his marriage to Maria Shiver!